This post is to show you how we narrowed down our trip to Cambodia and Vietnam after tons and tons of browsing and interacting with travelers who have been there earlier. This travel itinerary (it was rather hectic due to lack of time) for Cambodia and Vietnam in 8 days should help you with all the necessary information before you zero down on the places you would like to visit. We tried adding offbeat places than the regular ones to have a peaceful, non-crowded experience. For Eg: Hanoi was knocked out of our list though our return flight was from there. Yes, we do not regret not going to Hanoi after visiting the other places in Vietnam. A lot of people still don’t know about Hue and Hoi An and these places – my oh my -what beauty and amazing stories they have in store for us to carry back home. Day One Wearing huge smiles, we took flight from Chennai to Kuala Lumpur in Air India. Land in KL at 2230 hrs local time. Day Two Next day, flight from Kuala Lumpur to Siem Reap in Air Asia. Picked up from the airport by our tour guide. Checked in at Hotel Villa Médamrei. 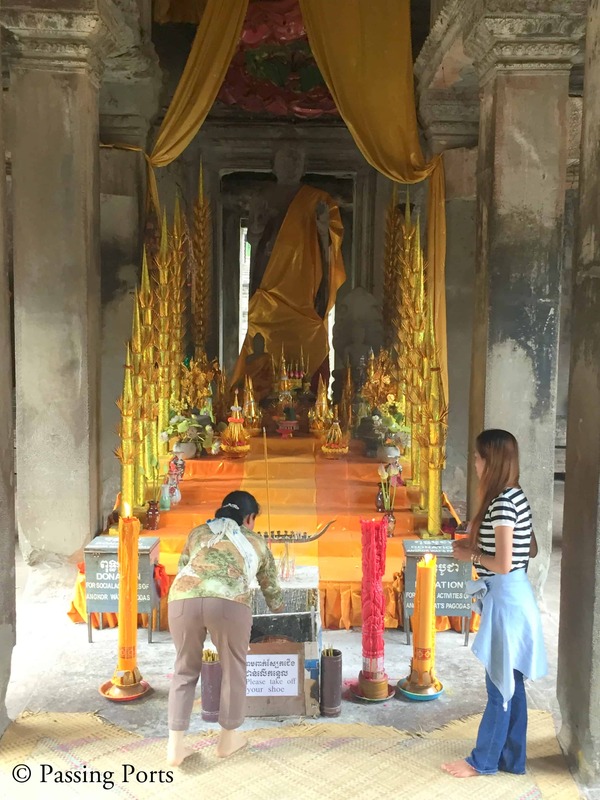 Visited Koh Ker, Preah Vihear, and Beng Mealea. This takes a whole day and Preah Vihear is quite an intensive walk. After returning, go for a massage, and then head over to the Night Market, and then Pub Street. Day Four Reached Phnom Penh at 0430 AM. Checked in to Hotel Relax. After breakfast, we took a tuk-tuk to go to Killing Fields, Tuol Sleng Prison Museum and chill by the Tonle Sap River in the evening. Day Five Day two in Phnom Penh – Independence Monument, Central Market, Royal Palace, Russian Market, Wat Ounalom. (The Russian Market was better than Central Market). Took the bus to Ho Chi Minh City at the Mekong Bus Station at 1430 hrs. After crossing border and Visa stamping, arrived at HCMC at 2030 hrs. Day Seven Took an early morning flight from HCMC. 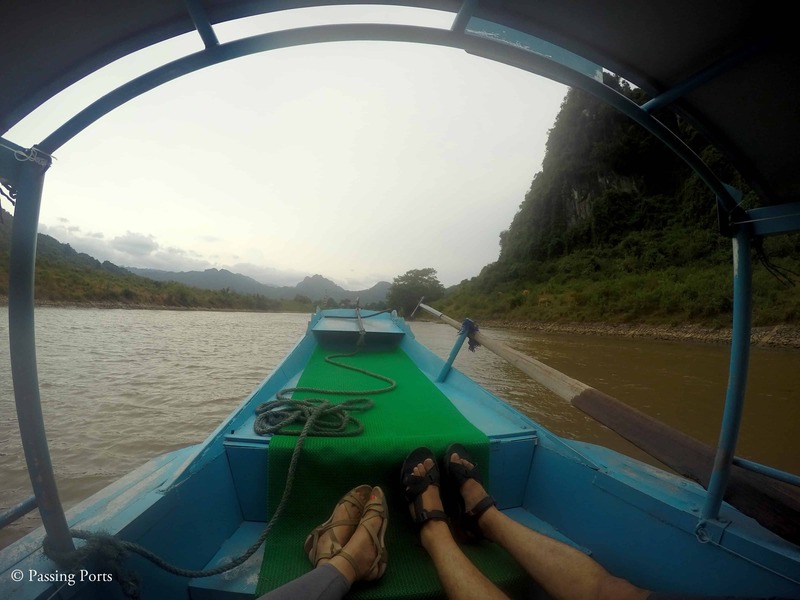 After landing in Hue, took a cab to check in at Hotel Serene Palace and drove to Phong Nha Caves. (There are two other caves as well – Paradise Caves & Dark Caves. You cannot do all in one day, so plan accordingly if you want to visit all.) After visiting the Phong Nha caves and the amazing Stalactites and Stalagmites, we returned to Hue for the night life experience. We went to Hue Walking Street and kept staring at the Dragon boats on the Perfume River (don’t know why ;)). Don’t miss Truong Bridge which is now a symbol of this beautiful city. Day Eight Next Day, we took a tour guide to explore the Thanh Toan Bridge, Minh Mang’s Tomb, Khai Dinh’s Tomb, The Citadel (Imperial City), Thien Mu Pagoda and boating on the Perfume River. After this at about 1645 hrs, we proceeded to Hoi An via Da Nang by car. (On the way, if time permits, visit the Lang Co beach and the Hai Van Pass). After reaching Hoi An, explored the beautiful night scenes in the Old Town. Day Nine Rented a two-wheeler to visit the Cu Dai and An Lang Beach. Payed a visit to the Old Town on the other side of the Japanese Bridge. (Make sure you stitch your suits, dresses in Hoi An as they have mastered the art of perfect fittings. We got two dresses, one blazer and one pant – all under 24 hours). Proceeded to Da Nang Airport to end the trip with a huge sad smiley face. Day Ten Flight to Malaysia and back to Chennai. 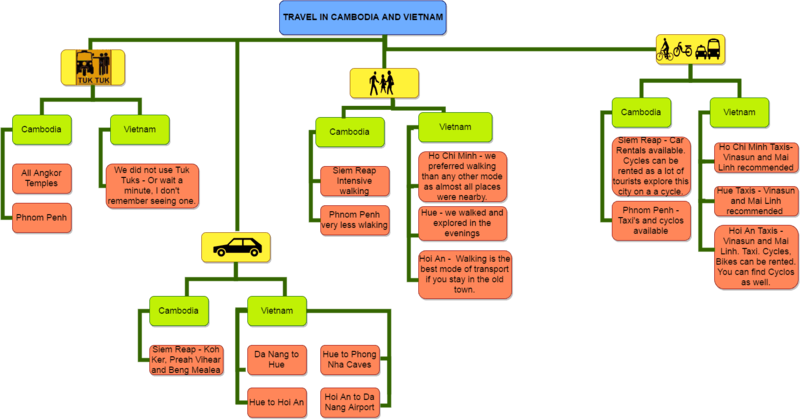 Vietnam – Ninh Binh, Nha Trang, Sapa, Hanoi (Ha Long), Da Nang. Total cost for two (includes all kinds of Travel, Visa, Hotels, Entrance Fees, Food and Shopping): ₹1,85,000 / US $2700 odd. 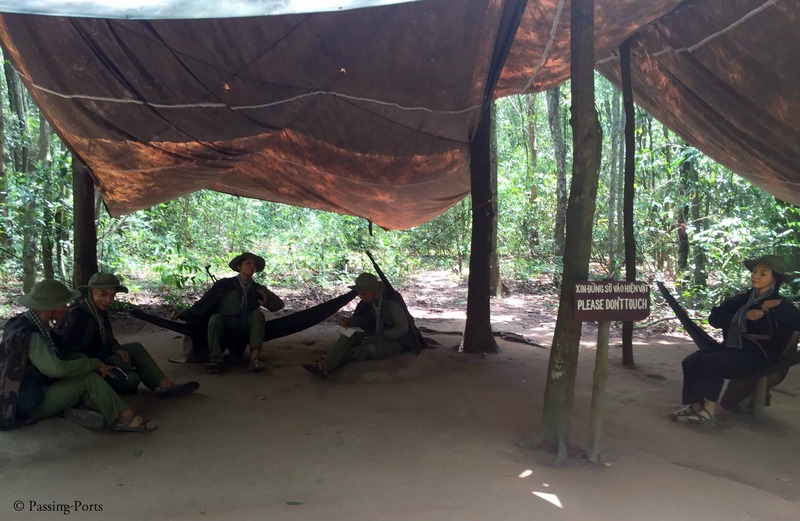 Are you planning a trip to Cambodia or Vietnam? Have any questions that are unanswered? Ask away in the comment section below. What is your opinion on covering only Cambodia in 7 days? That’s a brilliant idea! Spend two days in Siem Reap, and then cover Beng Mealeah and Prea Vihar the next day. Take the night bus (take a Giant Ibis bus, they are good!) to Phnom Penh. One day in Phnom Penh is good enough. After that, head over to Kampot and Sihanoukville for the last couple of days before getting back. Happy to answer any other questions that you may have. Also, I’d recommend you take an eVisa to Cambodia before you leave from here. How was your guide in Angkor Wat? Would you recommend him? Thanks for the post and some useful information. I am solo traveller and backpacker. I am planning for a 2 week budgeted trip to Cambodia sometime between October to December this year and collecting details from experienced travelers. I have few questions for now and hope you could help. 2. What all places do you recommend for this duration including offbeat ones. 3. Is the expense done in dollars or do I need to convert my rupees to riel? 4. How do we book hotels there? Hope MMT booking work? 5. What are you thoughts about flight bookings through AirAsia? 1. Keep an average of about 3000-7000 INR a day depending on your entry fees, shopping, hotel room etc. 3000 INR can come down if you chose hostels to stay. 2. Other than Siem Reap and Phnom Penh, check out Battambang, Kampot and Sihanoukville. Also check Ream National park – get a feeling you may like this one. 4. Are you kidding??? This is one of the most touristy destination (Siem Reap) in the world and actually a paradise of backpackers. Let me know if you need help there or check Agoda.com / Booking.com (you could either use these links or the ones on the sidebar of our website, these are affiliate links, and help us earn a small commission 🙂 ). 5. That’s the best for connectivity 🙂 Make sure you book them when they are on sale!!! What airlines did you use to fly within Viet Nam? Thanks so much, Preethika! This certainly helps. I had another question. Did you do any of the bay cruises? Ha Long Bay – Hui – Hoi An – Cambodia. Arrival and departure both is in Hanoi by air Asia. I am planning to carry Forex Card and Credit card for the trip. How much cash do I need. How many days needed for Cambodia. For both Vietnam and Cambodia, getting e-visa has no issues both during processing and during travel. Appreciate if you can throw some light on this. Malaysian Visa process for Indian Citizens – Your questions answered! What is the process to get Visa for Vietnam? 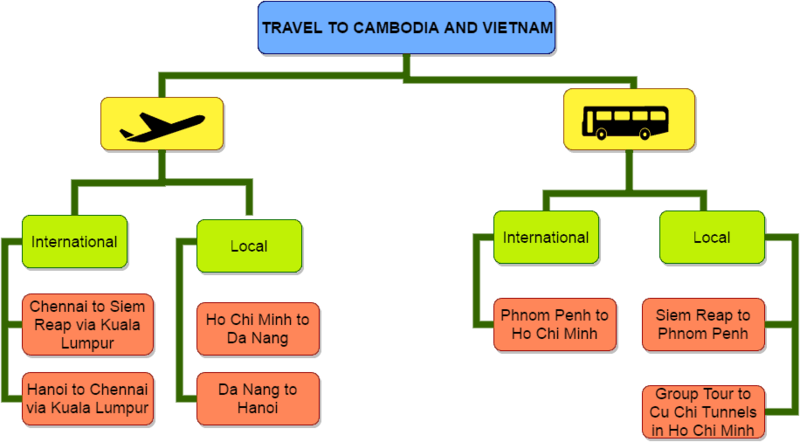 I am planning to go to Vietnam first and then to Cambodia, is it a right choice? And what should we cover in a 20 days trip? Please suggest.